About ten years ago, Ivis Febus-Sampayo was at a SHARE "Side by Side"program at NYU where the nonprofit works with first and second year medical students in order to help them understand what their patients may be going through, especially when diagnosed with cancer. She turned to one of the men, a medical student, at her table and started giving him a lecture in Spanish. His jaw dropped in confusion and as he did not have much of an idea what she said, he didn’t know how to react. 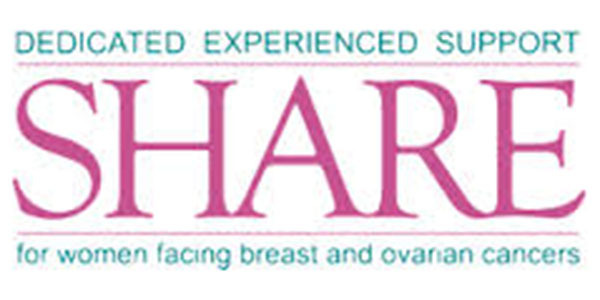 SHARE Cancer Support, a nonprofit seeking to create a supportive network and provide services to women affected by breast and ovarian cancer, offers every one of its services in both English and Spanish so that patients don’t have to feel like that confused young man when diagnosed. The organization was established four decades ago when a doctor gathered a group of patients with breast cancer who felt like they had no support system of women who had been through similar experiences. Eventually, SHARE realized that women with ovarian cancer and those who were more comfortable speaking in Spanish needed help too — the group established LatinaSHARE. LatinaSHARE provides support groups, webinars, telephone support and help translating for patients being treated in Bellevue and St. Luke’s Hospital in New York City through its Survivor Patient Navigator program. Here, patients are paired up with a bilingual survivor who can help translate questions and information, explain procedures, offer knowledge from their own past experiences and ultimately be there to help in whatever way. “Making decisions when you don’t understand the language is horrible, and that’s why we have this program,” Febus-Sampayo said. But SHARE Cancer Support does not only help the Latina population in the metropolitan area. They also have resources for African American women with breast and ovarian cancer, a Japanese support group, and plenty of resources online and by telephone that can be accessed in over 10 languages. For more information, visit SHARE's website or call SHARE's hotline, (844) ASK-SHARE.